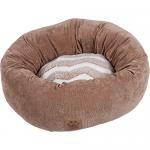 Thanks for looking at our Precision Pet SnooZZy Hip as a Zig Zag Donut Bed! 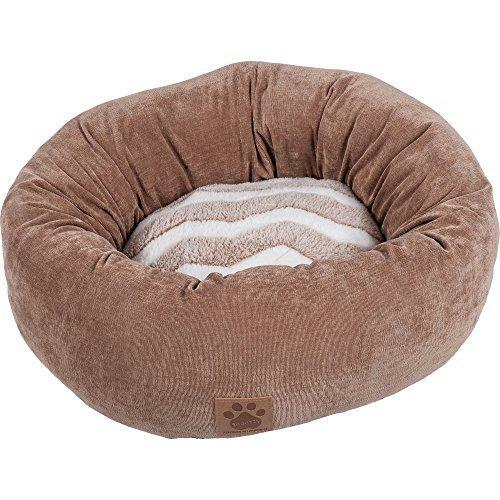 Precision Pet SnooZZy Hip as a Zig Zag Shearling Round Bed: The SnooZZy Hip as a Zig Zag Shearling Round Bed is made with luxurious designer fabrics and cozy long terry plush fabric. Super soft, rich velour covers entire sleep surface. Fashioned with woven cording and linen textured fabric.